Following instructions and taking note of product warnings is especially important if you use a solution that contains hydrogen peroxide. Here is advice from the FDA. Before you use solution with hydrogen peroxide, read all warning labels and instructions. Also note that the tip of the bottle is red. The red coloring is a reminder that these products require special handling. Some storage cases have a neutralizer built-in, making it a one-step process. With others, you must add a neutralizing tablet that comes with the hydrogen peroxide solution. This is the two-step process. When it comes to solutions with hydrogen peroxide, consumers have reported adverse events (unwanted experiences) like burning and stinging to the FDA, most often because they failed to read and follow directions for use. 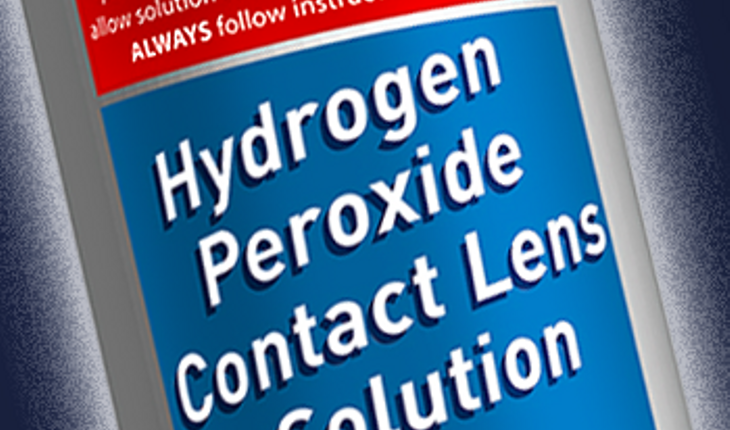 The FDA has received 73 medical device reports about hydrogen peroxide contact lens solutions since 2010. But the FDA received only 12 of these reports since 2012, after which many members of industry updated their product labeling with more visible warnings. These enhanced warnings included red boxes as a background for the text and a red tip on bottles. “Using any product without following instructions is a safety risk,” Lepri notes. So remember to follow all product directions. Contact your eye-care provider if you have questions or concerns. And, if you have any adverse reactions or problems with these products, report them to FDA’s MedWatch Program.